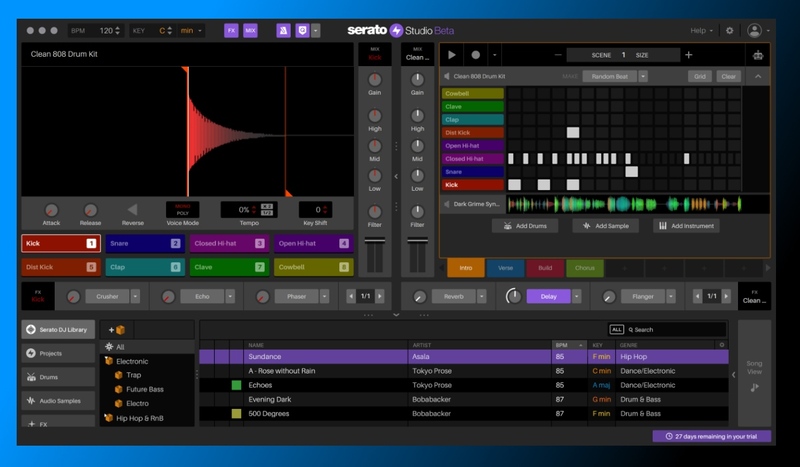 Transitioning from DJIng to music production feels like a natural progression to many DJ’s, and now Serato has entered the game with a new app that tries to bridge that gap: Serato Studio. To make things crystal clear, this is not a fully-fledged DAW (Digital Audio Workstation) like Ableton Live or FL Studio. 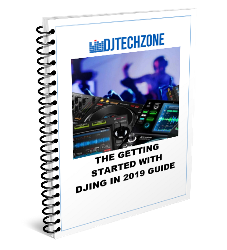 Serato Studio is more of an expanded version of Serato Sample: a simple way for DJ’s to go beyond just playing music and start tweaking their own sounds. 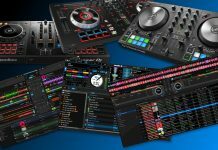 DAW’s have the tendency to scare newcomers with a complex interface and workflow, but Serato Studio looks like DJ software on steroids. Load op some beats and samples, sequence them in the right order and you have yourself a track. The software helps out with setting the right key for your projects, by automatically adjusting the key of your sounds to the project’s master key. 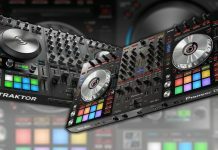 I think it’s a smart move from Serato to enter the music production game. I had the chance to play around with Serato Studio before the beta release, and it’s really well put together. I’m not really into music production, but I found myself having fun with samples and beats in no time. 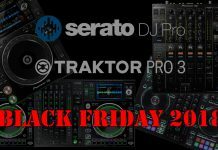 It shouldn’t be hard to get the Serato DJ crowd to at least have a look at Serato Studio. At this point, the software is not ready to be a contender in the professional music production space, but as a tool to quickly put something together in a familiar environment, it’s pretty, pretty good. 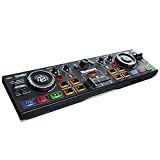 I’m really looking forward to seeing how Serato Studio works with controllers, especially the Roland DJ line, since these have built-in sequencers that, hopefully, will interface with Serato Studio. High-Quality FX – Tweak your beats using over 30 built-in FX presets that will feel instantly familiar to DJs. Quality Content Built-In – Studio comes with a huge amount of built-in drum kits, instruments, audio loops and samples, with frequent content updates for subscribers.